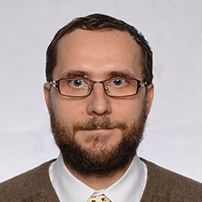 Associated Professor Martin Farek, Ph.D. is currently the head of the Department for the Study of Religions, Faculty of Arts and Philosophy, University of Pardubice, Czech Republic. He works within the international research team in Comparative Science of Cultures with focus on relations between Europe and India. Fárek authored or co-authored 36 scientific publications, the most recent is the book Western Foundations of the Caste System (Palgrave MacMillan, 2017). He supervised more than 50 students final theses. Fárek regurarly speaks at prestigious conferences, for example those organized by the International Association for the History of Religions. He took part in several European projects, including the role of Univeristy of Pardubice academic coordinator for Svaagata.eu, Erasmus exchange project which brought a large number of Indian students and staff to eight European universities. He is helping to develop ties between University of Pardubice and universities in India in other ways, too.